Education is a service the federal government pays for on reserves but provincial governments handle in much larger systems off reserves. A 2016 report from the Parliamentary Budget Office estimated that the federal government spent $336 million to $665 million less than would be needed to provide educations comparable to those students get elsewhere. Some First Nations students stay at home and get substandard facilities, resources and teaching. Some leave home for better schooling but lose connections to their homes and families. 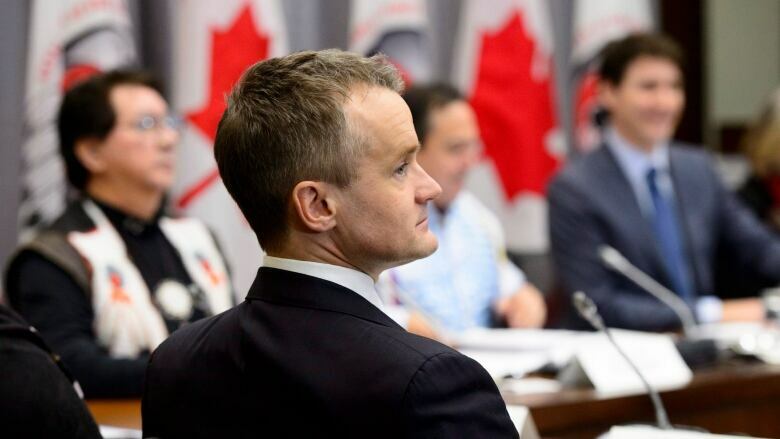 Indigenous Services Minister Seamus O'Regan said Monday that the new model was developed after an extensive engagement process involving several organizations, including the Assembly of First Nations. "This is very good news because we know when First Nations lead these initiatives and when we're there to work in partnerships with them with funding we know that we will get greater outcomes," O'Regan said in Ottawa shortly after the new approach was announced. "This is about communities taking greater control of their education to make sure that it's specific to their community, that it's specific to their cultures and traditions and to their language." Ontario Regional Chief RoseAnne Archibald called the changes a "strong step," but she stressed there's a lot more to do to create equity when it comes to First Nations education and communities. "As the largest growing demographic in the country, investing in First Nations students and young people is investing in Canada's future," Archibald, who also leads the AFN's education portfolio, said Monday in a statement. "Fair and sustained funding for First Nations children and students, including languages and cultures, will lead to better outcomes for everyone." Under the new approach, First Nations schools will also receive $1,500 per student every year towards language and cultural programs. Schools will offer full kindergarten for on-reserve kids aged four and five, O'Regan said. In a statement, AFN National Chief Perry Bellegarde credited the new approach as a significant move toward closing the education gap, saying it will enable First Nations to plan and build quality school systems that address their needs. The funding will be within the jurisdiction and control of chiefs and band councils, O'Regan said. He added that Ottawa will work with the communities on the issue of accountability. O'Regan said the changes mean First Nations will have an easier time budgeting for education because they'll know the money will be there for them year after year. In the 2016 federal budget, the Liberals promised to spend an additional $2.6 billion over five years to improve education for First Nations children living on reserves. Ottawa is expected to spend $1.89 billion in 2018-19 on First Nations elementary and secondary education. The annual commitment is set to increase each year until it rises slightly above $2 billion in 2020-21.